Fibromyalgia is a relatively common, chronic condition causing widespread pain and tenderness throughout the patient’s body. Recent studies have indicated that as many as one in every 20 people may be affected. Fibromyalgia is the formal diagnosis for a series of conditions including muscular rheumatism and fibrositis. The exact cause of fibromyalgia is unknown, but it's thought to be related to abnormal levels of certain chemicals in the brain and changes in the way the central nervous system processes pain messages carried around the body. It's also suggested that some people are more likely to develop fibromyalgia because of genes inherited from their parents. Anyone can develop fibromyalgia, although it affects almost seven times as many women as men. The condition typically develops between the ages of 30 and 50, but can occur in people of any age, including children and the elderly. NB: Though symptoms are similar in presentation, there has shown to be no link between fibromyalgia and inflammatory or degenerative arthritis. Unlike arthritis, fibromyalgia doesn’t cause any lasting damage to tissues, but it is incredibly important to remain as active as you can in order to avoid potential muscular atrophy. In order to rule out these conditions, your GP may send you for a series of tests including urine and blood tests, as well as X-rays and other scans. Remember, fibromyalgia does not necessarily stand alone- whilst you may be diagnosed with another condition, you may still have fibromyalgia. This can, in turn, prove to be confusing as neurologists tend to view fibromyalgia being related to the dysfunction of muscles and connective tissue, whereas rheumatologists define the condition as "central sensitisation" – heightened brain response to normal stimuli. Fibromyalgia has numerous symptoms, meaning that no single treatment will work for all of them. Treatments that work for some people won't necessarily work for others and you will need to try a variety of treatments to find a combination that suits you. Over the counter analgesics (paracetamol/ibuprofen/aspirin) may help to limit your pain associated with fibromyalgia. If these painkillers do not help, your GP may prescribe a stronger analgesic such as codeine or tramadol. 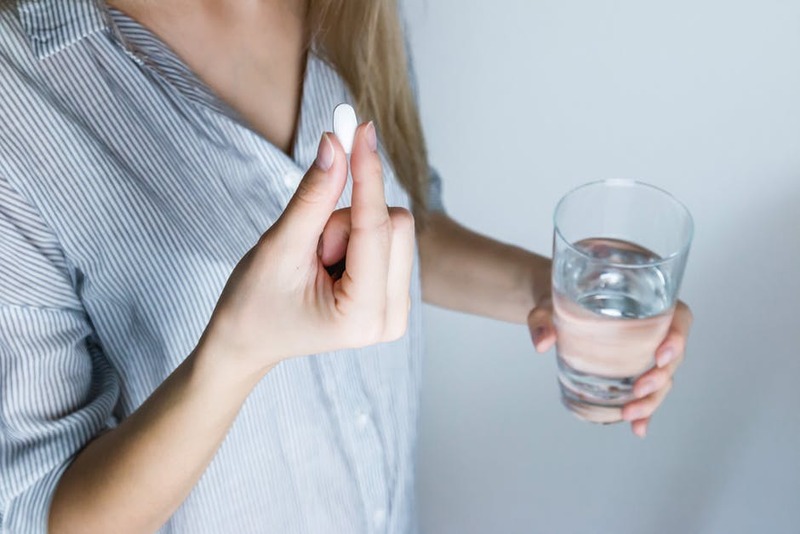 It is important to limit your use of these painkillers as far as possible for, as well as their addictive nature, their effects tend to weaken over time as the body develops a resistance. As with FND antidepressants may be prescribed as neuropathic painkillers which can be used to limit your daily general pain. They boost the levels of certain chemicals that carry messages to and from the brain, known as neurotransmitters. Low levels of neurotransmitters may be a factor in fibromyalgia, and it's believed that increasing their levels may ease the widespread pain associated with the condition. If you are struggling with muscular stiffness or spasms, you may be prescribed a course of muscle relaxants such as diazepam. These drugs may have the additional benefit of helping you sleep with their sedative effects. As fibromyalgia can affect your sleeping patterns, you may want medicine to help you sleep. If you're sleeping better, you may find that other symptoms aren't as severe. Speak to your GP if you are having trouble sleeping, you may benefit from OTC sleeping medication or you may be prescribed a stronger drug. Physiotherapy: a series of individually tailored exercises from a qualified physiotherapist. Hydrotherapy: swimming, sitting or exercising in warm water or a heated pool. Relaxation and Mindfulness: Providing you with techniques which may help you to ‘switch off’. CBT (cognitive behavioural therapy): helping you change the way you think to enable you approach problems more positively. Psychotherapy: Helping you understand your feelings and emotional responses.